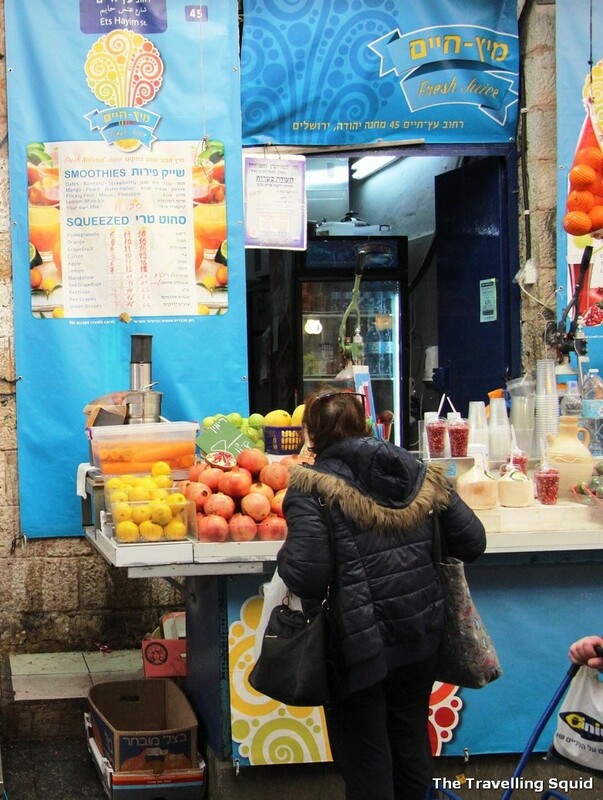 As mentioned in post of Mahane Yehuda earlier, the fruit juice was very fresh, compared to the one in Cairo which had added sugar. We ordered pomegranate juice, and guess what, they don’t even add ice. 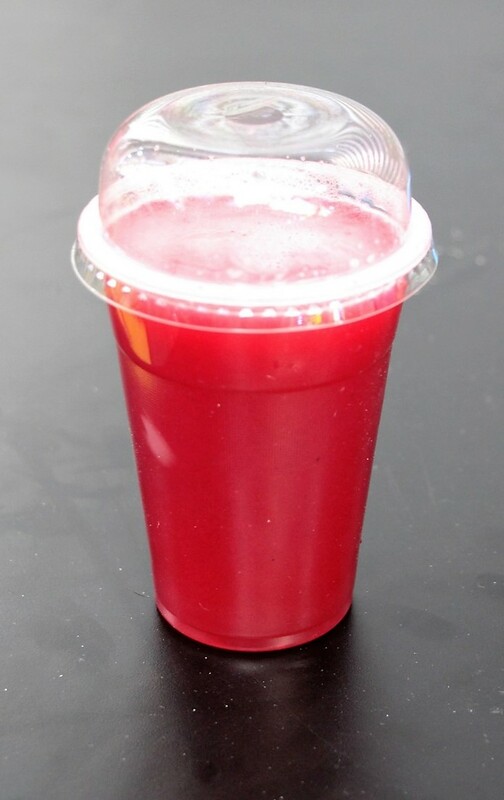 Instead of plonking the fruit into an electronic machine, the store holder took 3-4 pomegranate fruits from the fridge, and put them under a manual juice and pressed the lever down. That’s the fruit juice stall we went to, right outside Califax Coffee Roasters. When we told him we didn’t want added sugar in our order, he looked offended, that we would even suggest that. It’s 100% pure he said. It was about USD2-3, though I recalled it being slightly cheaper than the fruit juice stores which were located at the outskirts of the market. The pomegranate juice was excellent! When we finally got to it – the juice was excellent. 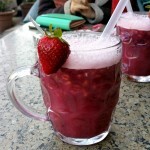 There was no ice in it, just pure fresh, sweetness of the pomegranate. 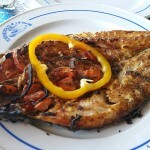 If you haven’t caught my last post on Califax Coffee Roasters, do take a look. It was probably the best coffee we had in Jerusalem, during our four days there. I recalled that the long black was a great pick-me up, which prepared me for a longer walk throughout the day. 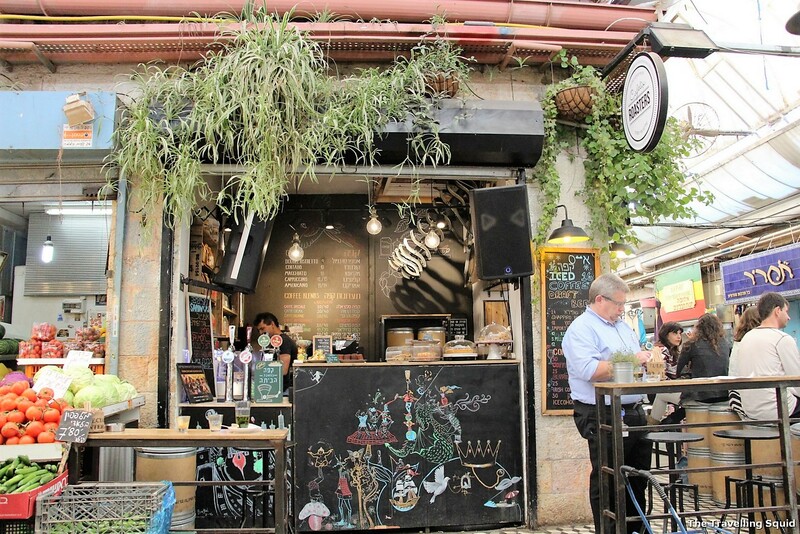 If you’re looking to try local beers in Jerusalem, the Beer Bazaar Jerusalem is the best place to be. It operates as a bar even during the day, so it’s great for those thirsty people out there. 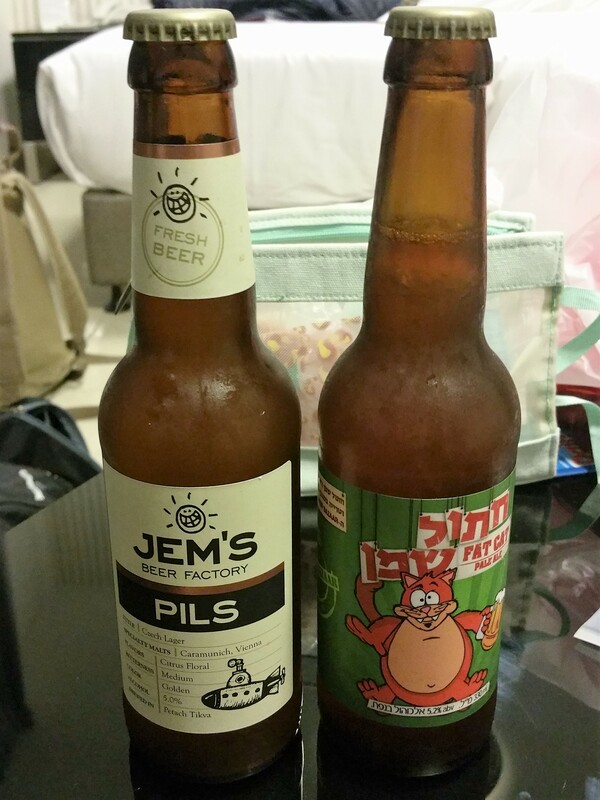 There are several Israeli beers on tap, and you get a wide selection of bottled beers too. Friend S and I bought four back – they were not expensive, setting us back by about USD4 – 5 per bottle. They were really good! And much appreciated especially after an almost alcohol-free one week trip to Egypt. I wished we had time to hang out by the bar during the evening too, but when we wanted to return, the market was closed for Sabbath. 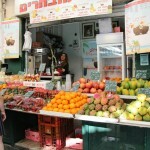 The Mahane Yehuda market is a must go, essentially because there’s so much to see, and so much to drink. It’s great to go at various times of the day. Morning for a coffee, afternoon for a refreshing fruit juice, and any time of the day for a pint of beer. (Just kidding on the last one). 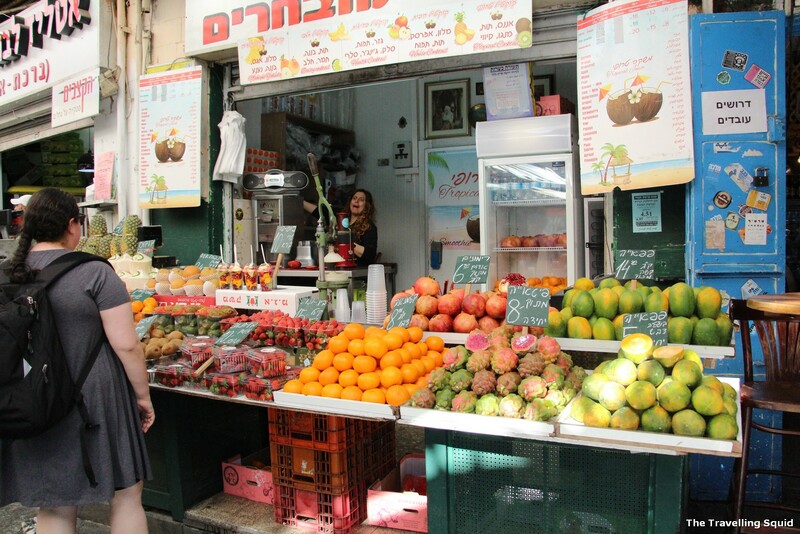 My only regret was not spending more time at Beer Bazaar Jerusalem. Do check it out when you’re there! 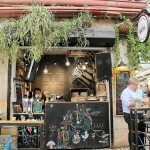 One Response to "Three drinks to try at Mahane Yehuda in Jerusalem"